We love sharing how TAP® Pest Control Insulation can benefit Homeowners. Here are a few of the most commonly asked questions. If you do not see your question here, feel free to connect with TAP® Pest Control Insulation at your convenience. We are always just a quick phone call or email away. Let’s get started! Is T·A·P® Pest Control Insulation an EPA-registered pesticide? TAP® Pest Control Insulation, the most TRUSTED pest control insulation on the market today, is an EPA-registered (89140-1) pesticide that is also an insulation. Our product is backed by scientific studies to control bugs and protect your home. Other insulation may be treated by an EPA-registered product to protect the insulation but falls short of protecting your home from pests and the damage they cause to the structure of your home and your family’s health. TAP® Pest Control Insulation, however, is an EPA-registered insulation and has the unique advantage of protecting your home from pests. Check out our EPA listing or our product label. NOTE: Learn more about Treated Insulation vs. EPA-Registered Insulation. With all of the “green” claims on products these days, is T·A·P® Pest Control Insulation truly environmentally friendly? Does T·A·P® Pest Control Insulation have to be renewed or replaced to continue to control insects? No, pests cannot build up tolerance to the borates in TAP® Pest Control Insulation, so the pest control properties remain in effect as long as the insulation remains in the home. 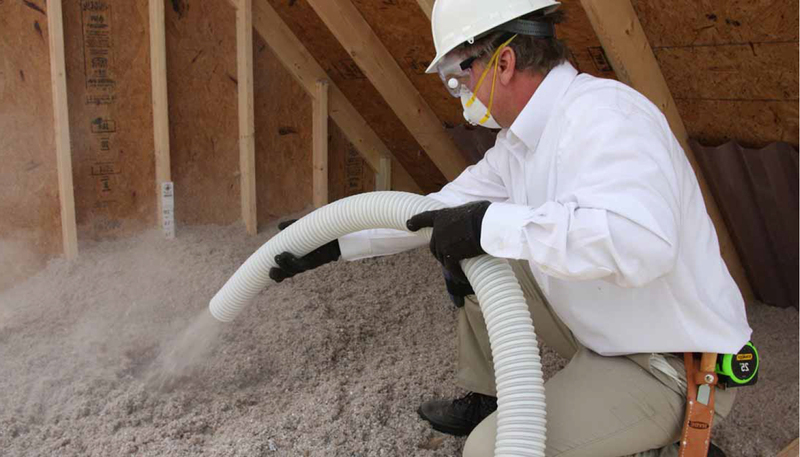 Installing TAP® Pest Control Insulation over existing attic insulation typically takes half a day. However, installation time depends on the size of the home. 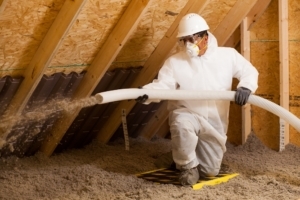 I already have insulation in my attic, do I need T·A·P® Pest Control Insulation? It is a strong possibility. First, your current insulation most likely does not have pest control properties, so adding TAP® Pest Control Insulation would be greatly beneficial. Second, the U.S. Department of Energy recommends a fairly significant amount of insulation (R-49) in residential attics. This amount far exceeds most building codes and specs which means that many homes do not have enough insulation. It has been estimated that 65% of homes in the U.S. are under-insulated, and most homes over 10 years old have about 1/3 of the recommended amount of insulation. Does T·A·P® Pest Control Insulation have an odor? No. TAP® Pest Control Insulation does not have an odor and there is no off-gassing found in many other insulations. The borates in TAP® Pest Control Insulation actually help absorb and reduce any foul odors. Do I need to take my existing insulation out before installing T·A·P® Pest Control Insulation? No, TAP® Pest Control Insulation can be installed right on top of existing insulation. However, it may be advisable to remove your existing insulation if previously damaged by pests. How is T·A·P® Pest Control Insulation installed? TAP® Pest Control Insulation is blown in using a machine. When blown in, TAP® Pest Control Insulation forms a perfect fit in your wall or attic seeking nooks and crannies while filling the entire cavity. Stud cavities in attics are not uniform in size; thus, gaps and voids form when traditional insulation rolls are used. Unlike the traditional insulation rolls, TAP® Pest Control Insulation is never cut on the job site, or stuffed into the cavity to fit behind pipes and conduits (which reduces the effectiveness of insulation). Once blown in, TAP® Pest Control Insulation fits over your ceiling like a blanket. This is a common myth often perpetuated by other insulation industries. Most houses are cellulose (made from wood and forest products). TAP® Pest Control Insulation contains a fire-retardant that actually makes homes safer in the event of fire. Traditional insulation can melt creating a chimney-like effect in a wall. TAP® Pest Control Insulation, with its fire-retardant characteristics, will not hold a flame and forms a ‘charred’ surface barrier which limits the spread of fire. What is T·A·P® Pest Control Insulation made of? TAP® Pest Control Insulation is made from recycled paper and specially formulated borates. Who can install T·A·P® Pest Control Insulation? The government closely regulates any product that claims to have an effect on insects or other pests. Because TAP® Pest Control Insulation is a substance that controls pests, it must be registered with the U.S. Environmental Protection Agency as well as each individual state in which it is sold. These entities mandate that TAP® Pest Control Insulation can only be installed by licensed pest management professionals. How much does T·A·P® Pest Control Insulation cost? The cost of installing TAP® Pest Control Insulation varies depending on several factors including access, location, market, size, etc. As with most things, you get what you pay for. TAP® Pest Control Insulation is a product for the discriminating homeowner who wants the best for their home. In time, TAP® Pest Control Insulation most often pays for itself by reducing energy costs! How does T·A·P® Pest Control Insulation reduce my bills? TAP® Pest Control Insulation keeps homes cooler in summer and warmer in winter by reducing the ability for heat to transfer through walls and attics. Because TAP® Pest Control Insulation is denser than traditional insulation, air does not move through it well. It resists heat transfer by convection, as well as conduction and radiation. And since there aren’t the leaks and drafts associated with ordinary insulation, mechanical systems don’t work as hard and can often be down-sized saving you money. Areas in the home maintain more uniform temperatures between floors and ceilings, upstairs and downstairs, even next to exterior walls. Where do I buy T·A·P® Pest Control Insulation? Ask your trusted pest management professional about TAP® Pest Control Insulation. If they do not offer it, click here to find a provider near you. Without proper testing and registration, it is nearly impossible to know if the borates or borate derivatives in cellulose insulation will control insects. Therefore, only products that have an EPA label and have been scientifically tested, such as TAP® Pest Control Insulation, can legally claim to control insects. Does T·A·P® Pest Control Insulation control mice, rats, or squirrels? The only claims permitted are those which are found on the TAP Pest Control Insulation EPA label (89140-1) which do not cover mice, rodents, or squirrels. However, TAP® Pest Control Insulation does not act as a food source for these animals. I received a quote from a contractor and he says his insulation is “the same thing” as T·A·P® Pest Control Insulation but cheaper. Is this true? Absolutely not. TAP® Pest Control Insulation can only be installed by licensed pest management professionals. If told that a product can affect insects, ask to see the other insulation’s EPA label! Does T·A·P® Pest Control Insulation “repel” or “resist” insects? No, TAP® Pest Control Insulation is lethal to certain insects that come in contact with the insulation. Many companies claim that the boric acid in their product “resists” or “repels” insects. Scientific studies reveal that boric acid is undetectable to insects. Insects cannot be repelled from something that they cannot detect, so individuals or companies that make such claims are uninformed about the scientific properties of boric acid. Don’t see your question above, feel free to contact us and let us help you discover how TAP® Pest Control Insulation can protect your home and family!